Register for Hunger Heroes 5k/10k/5kGoneBad/KidsFunRun Presented by Weekend Survival... today! In our eighth Year of hosting, (the formerly All Feet No Hands 5k) has now become the Hunger Heroes 5k/10k/5kGoneBad/KidsFunRun Presented by Weekend Survival Kits! We have four exciting races to offer! Our popular chip-timed 5k and 10k run/walk take you through a scenic route in Williamston. Back for its fifth year, we have a 5k Gone Bad race, which is a 5k run with CrossFit challenges built into the course. There will be judges along the way to guide you , and know that any obstacle can be modified and scaled so that anybody can successfully take part! Last but not least, our favorite race of the day, the Kids Fun Run Mile will be sure to challenge all the kids in your family, so we encourage you to bring everyone out for a day of fun in support of such a great cause! All runs will provide a very scenic look of Williamston, while helping fight hunger among Elementary-age kids in Ingham, Eaton, Clinton, Livingston, Shiawassee, and Wayne Counties. Bella Canvas Long-Sleeve shirts for all participants registered by September 1, 2019 for the 5k, 10k, and 5k Gone Bad. Short sleeve shirts for all participants registered by September 1, 2019 for the Kids Fun Run Mile. 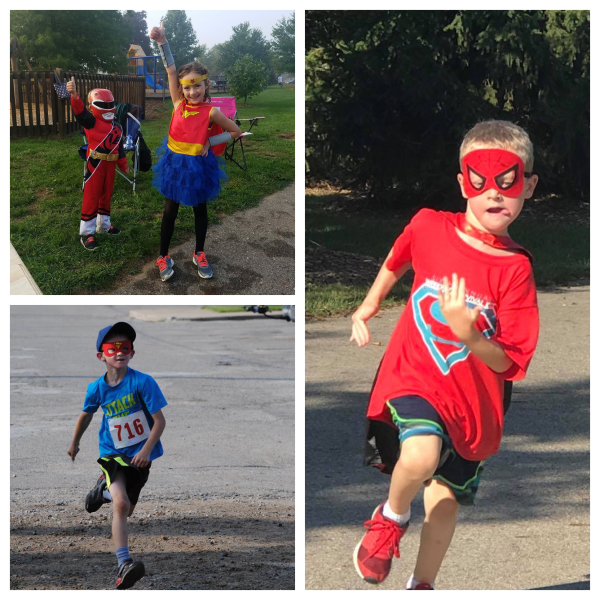 Medal Awards, Prizes, DJ, Williamston Sport & Spine, refreshments and a fun SUPERHERO theme are just a few EXCELLENT reasons to participate in one of the FOUR races the morning of the 14th! Please come out and GIVE HOPE TO HUNGRY KIDS! Packet pickup at McCormick Park the night before from 6-8pm, as well as at McCormick Park the morning of the races starting at 7:15am. Run for FREE and Feed 1 child for an ENTIRE school year! HOW you ask? When you donate $100 you'll run any event for FREE! Register and choose the $100 donation option during checkout and the discount is automatically taken during checkout. (valid for one event). Course: Start & End in McCormick Park for all races. 5k Gone Bad and 5k Run/Walk – Race Route will take you North on Putnam, East on Mitchell Rd., South on Vanneter, over the foot bridge and West down High St. Please see the Race Route for more information. 10k Run/Walk - Race Route will take you North on Putnam, East on Mitchell Rd., North on Vanneter, East on Moyer Rd., South on Harris Rd., West on Rowley, South into the Elementary school over the foot bridge and West down High St. Please see Race Route for more information. Kid’s Fun Run: This fun event for kids 12 and under will be roughly 1 mile (3 laps around McCormick Park). All participants will receive a short sleeve t-shirt, and SUPER COOL SUPERHERO SWAG!! Watch out for Superheroes along the race route! Proceeds will go to: Weekend Survival Kits - mobilizing communities to provide food on the weekends to children in grades K-5 who may otherwise go hungry, ultimately helping remove barriers to academic success. Would you believe that 1 out of 5 school children go home from school on Friday worried about what they will have for food on the weekend? $100 will feed 1 child for an ENTIRE school year! This is a true 5k (3.11 miles) with a TWIST!! 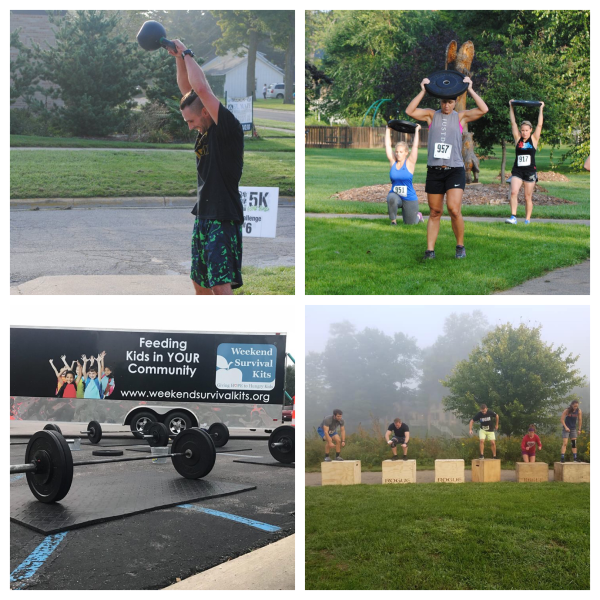 You will be required to run the entire course with added CrossFit challenges along a very scenic route in Williamston, MI. There is an Rx and Scaled option for this event. When registering please choose which heat time you'd like to participate in. There are 7 spots available per heat. **The Challenges for the 5k Gone Bad will be released 1 week prior to the event! Stay tuned! Please understand that all of these movements can be modified and scaled so that anybody can complete the Gone Bad race. Also, each station will have a "judge/coach" to explain the movement and/or modify as necessary. This fun event for kids 12 and under will be roughly 1 mile (3 laps around McCormick Park) All participants will receive a short sleeve t-shirt, and SUPER COOL SUPERHERO SWAG!! This race is endorsed by The Governor’s Council on Physical Fitness and part of the 2019 Michigan Fitness Foundation Challenge. The challenge encourages Michiganders to engage with events that promote physical activity, health and wellness. You will receive a FIT point for every endorsed event you participate in or volunteer for from January 1, 2019 until December 31st, 2019. Points earn cool swag and a chance to win a Grand Prize! 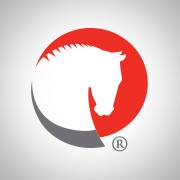 To sign up and learn more click HERE. There is no cost to this challenge.